India made light work of Pakistan as they beat their arch-rivals by 9 wickets in a thumping win the Super Four Asia Cup encounter in Dubai. Opting to bat, Pakistan scored 237 in 50 overs with Shoaib Malik anchoring the innings yet again with a 90-ball 78. In reply, India started slowly and steadily before stepping on the gas after the 15th over. 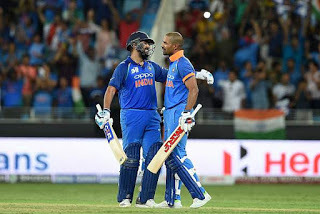 The opening duo of Rohit Sharma (111*) and Shikhar Dhawan (114) put together 210 in 33.3 overs to put the game past Pakistan as they moved closer to a berth in the finals.